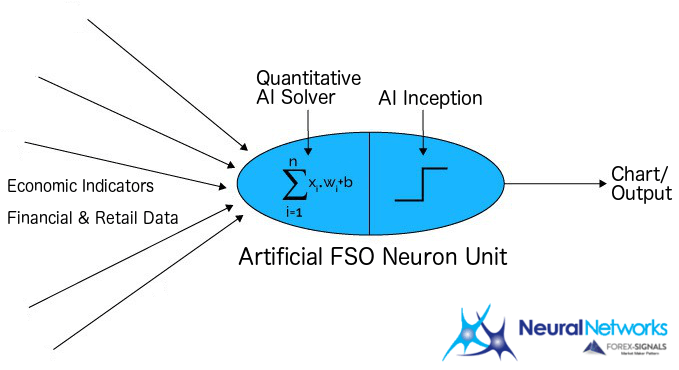 Within the sphere of artificial intelligence, artificial neural network (ANN) systems are basic. By basic, it means that it can do the basic functioning program —sense, reason, act and adapt. Sounds like an ordinary human being, right? But, what makes it the subject of interest in Forex trading when in fact it only tries to simulate some of the functionality of the human brain and we can have actual humans work on it? Forex trading is constantly in a state of uncertainty and flux. We cannot, with one hundred percent certainty, predict the direction which currencies are most likely to take in the future. In this market, only one thing remains the same: big data. Currencies are traded across banks all over the world and in whatever market is open at any time of the day in one entire week. Computer networks facilitate every transaction between traders all over the world, instead of one central marketplace for foreign exchange. Buying currencies while simultaneously selling one may seem like an easy task but it is not. It is too complex a brain could want to process all at the same time. Do we really expect our brains to store and process as much data like that? There’s no denying what a human brain can do. Its ability to store the unimaginable amount of information for years makes it even very difficult to calculate its exact storage capacity. It is not to discredit the amazing ability of the human brain but to highlight what humans can make use of in the advent of electronic trading and numerous forex brokers. Whether we like it or not, we need to step up and be ahead of the game that would outperform humans at nearly every cognitive task by taking advantage of the trend — that is, by using the artificial neural network. You see, the trend is our friend. In the largest and most liquid financial market on the planet, there is only one thing we need: leverage. The efficiency and accuracy that artificial intelligence neural network systems providegive us exactly just that. It is an incredibly efficient program which has a parallel processing ability. It is very capable of performing more than one job at the same time and stores as much information on the entire network without the fear of being dysfunctional in cases where specific data are lost. As a developing branch of science, we cannot expect ANN to be a perfect strategy to have successful trading. It means that we are trying to eliminate and cut all possible losses to have that advantage increase day by day. It minimizes human error and gets prediction easily addressed. Betting on the unexpected is what characterizes forex trading. It is anticipating on the anticipation of as many men as possible. Using an artificial neural network may not be correct all the time but it is, essentially, an edge over all other players in the field. In the end, ANN is only one way of surviving if you want to be really in the game.